Adjacent to Madison Park and Myers Park in South Charlotte brings a different side of the city. 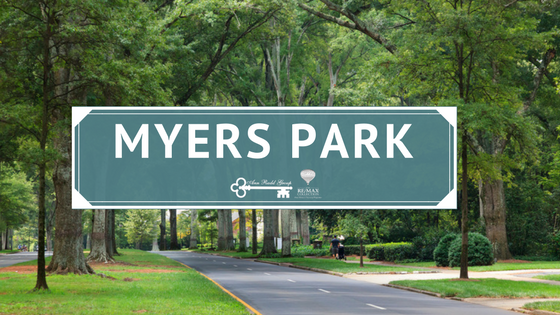 Located in the south of the Uptown area, Myers Park is often referred to as the most beautiful neighborhood in Charlotte, Myers Park has beautifully tree lined streets, surrounded by stunning historic homes. There are approximately 9,350 people living in Myers Park. Commuting to uptown is stress-free, as the community is serviced by the LYNX Blue Line light rail. Myers Park is considered to be the most beautiful community in the city. To add to its allure, the neighborhood is home to a collection of brick Georgians, Craftsman, Bungalow-style, Colonial, and English Tudor-style residences. Aside from single-family homes, Myers Park is also home to several upscale condos and lovingly restored older homes. The commute to Uptown is simple and easy, as the community is serviced by the LYNX Blue Line light rail. Myers Park is considered to be the most beautiful community in the city, and to add to its charm, the neighborhood has a collection of brick Georgians, Craftsman, Bungalow-style, Colonial, and English Tudor-style homes. Aside from single-family homes, Myers Park also has several upscale condos and older restored homes. Freedom Park – is a 98-acre park in Charlotte, North Carolina. Located at 1900 East Boulevard, between Charlotte’s historic Dilworth and Myers Park neighborhoods, the park is centered on a 7-acre lake and is about 3 miles from the heart of Charlotte’s downtown area.